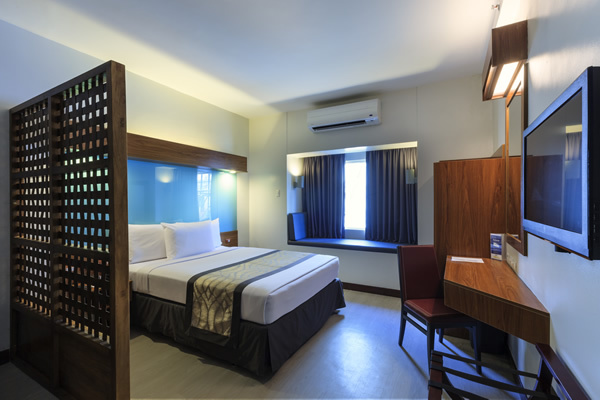 Like in all Microtel by Wyndham properties, our 120 decently sized accommodations in Quezon City offers a calming atmosphere as well as a list of 3-star amenities. These include chiropractor-approved mattresses, a TV with cable channels, Internet access, and full-size bath with hot and cold shower. 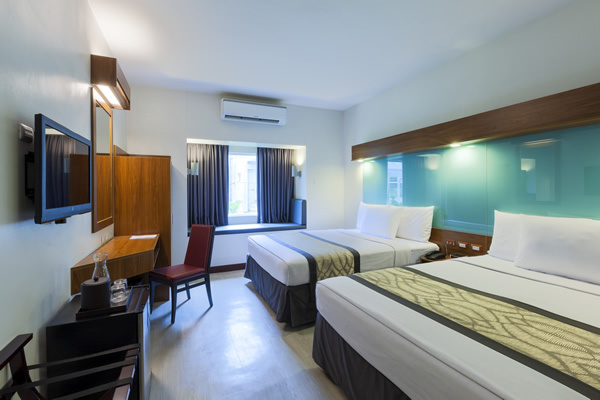 Our hotel in Quezon City is equipped with security features, such as electronic card entry and safety deposit boxes to guarantee a worry-free stay. These thoughtfully selected amenities allow guests to have best accommodation experience in Quezon City, Philippines.